Home Running Injuries Knee Will leaning forward help my runner’s knee? Teng and Powers (2014) studied the effect of trunk lean on patellofemoral joint (PFJ) load in 24 asymptomatic runners. Subjects ran at a fixed speed and varied trunk position between preferred, extended and flexed. They were instructed to modify their trunk position in a range that felt comfortable while running. On average a 6.8º increase in trunk flexion resulted in a 6% decrease in PFJ stress, while a 10º increase in flexion reduced peak stress by 13.4%. This is comparable to other studies on PFJ stress during running – Lenhart et al. (2014) found that increasing step rate by 10% reduced peak PFJ load by 14%. For a nice overview of the effects of step rate and stride length on running mechanics see this review by Schubert et al. (2014). When considering a gait change we have to consider risk versus benefit of our approach. For example, running barefoot has been found to reduce PFJ stress by around 12% but is associated with an increase in load on the calf and achilles. We don’t want to swap one set of problems for another. By increasing forward trunk lean there is a modest increase in knee flexion angle during stance (less than 2°) and a small, but significant increase in hip flexion angle (of around 4º). It seems likely then that we may see more load at the hip with this approach and an increase in demand on the hamstring and gluteal muscles. Another important consideration is whether changes in trunk position will influence performance which wasn’t examined in this study. UK Athletics generally recommends an upright, ‘tall’ running posture for optimal performance, however a great deal of variety exists among runners, even at elite level. Work by Isbel Moore has suggested runners feel more comfortable when metabolic cost is low i.e. if it feels easy and efficient it probably is. By contrast if a change feels cumbersome and difficult it may, at least acutely, be making you less effective. Teng and Powers (2014) has a number of limitations. Like many biomechanical studies it shows changes in load in healthy individuals, whether this will change symptoms in those with patellofemoral pain remains to be seen. It’s unclear if this technique can be adopted long term and what implications it may have. In addition, PFJ stress is estimated through complex calculations including measurements that are subject to error and based on a 2-dimensional model. Closing thoughts: increasing forward trunk lean may help reduce PFJ stress but little is know about its long term implications or effect on patellofemoral pain. More evidence exists for changes in step rate/ stride length and hip adduction although these too lack studies with long term follow up. If you have PFP consider trying to lean forward slightly more from the trunk and see how symptoms respond. However, remember that PFP is complex and has multiple causes – consult a physio/ health professional for treatment specific to your needs. 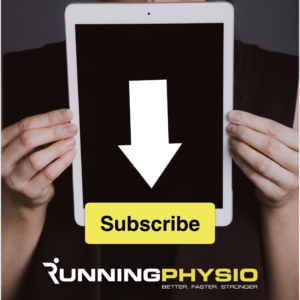 As ever on RunningPhysio if in doubt, get checked out. Excellent article. Very clear, conscise and reading. Thank you and please keep em’ coming!